As you may have seen from my France post, I did visit Sephora whilst I was there but there were a few brands that I couldn't get my hands on so I placed an online Sephora Haul when I got back to the UK. I will be doing full reviews of anything I love/hate so keep posted! You can actually but this in the UK swell but I thought I would buy it here as I was making an order. I quite fancied trying a new moisturiser. 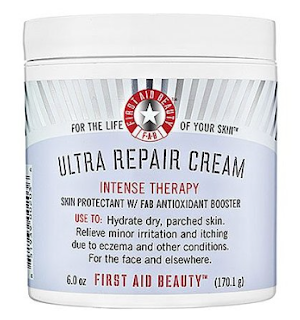 When I saw this one it instantly drew me in as it is targeted at dry skin. I will ket you know how I get on with it. You can buy it here in the US and here in the UK. I have been swooning over this for a long time now and on first impressions I am very pleased. The packaging is soon slim and great for travelling. 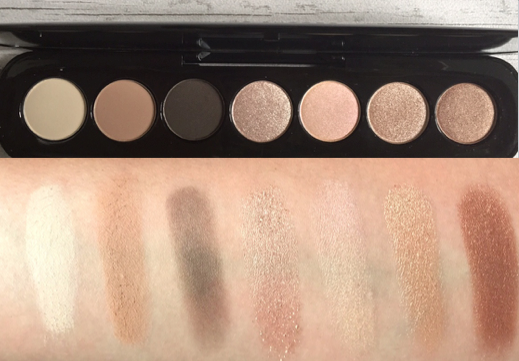 The eye shadows are very pigmented and are even better than this swatch in real life. The colours change slightly in the light and have a lovely pink iridescent shimmer to them. If you have change to swatch this- I would definitely go and have a look. Again it can be purchased from Sephora online US here. 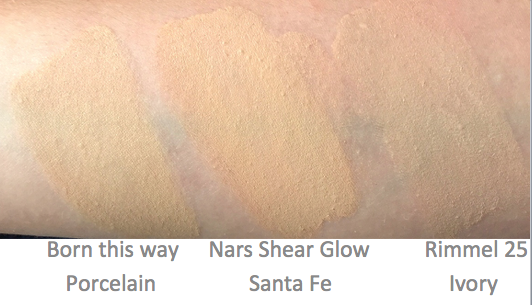 I've watched the shade porcelain here and some other foundations next to it to give you an idea of shade here. Porcelain is the lightest one so if you are very pale you may struggle here. There are 12 shades to choose from. Again stay posted for a full review coming soon. You can buy it here. I already had one of these and I really like it. It's affordable, lasts all day without budging and the colours are very beautiful. Pictured here are Taupe (top), Khaki (Middle) and Dark Taupe (Bottom). I can already say these are just as good as a lot of high end eyeshadow crayons and definitely worth a try. There are 31 to choose from! You can broke other shades/ buy here. I also bought the Becca x Jaclyn Hill Shimmering Skin perfecto in Champagne pop but unfortunately it was broken (Sad cry!) I've contacted Sephora and hopefully there will be no problem sending me a new one....QUICK!